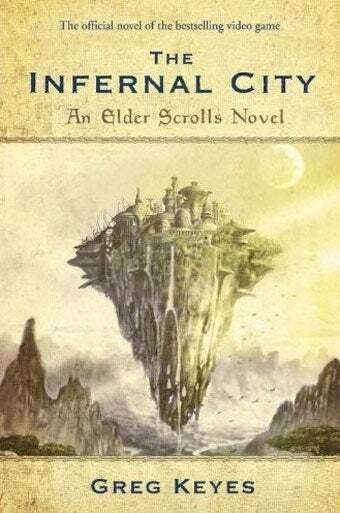 Author Greg Keyes is better known to me by his Star Wars Expanded Universe contributions, but as the writer on The Elder Scrolls: Infernal City, he's been promoted to "potential Bethesda informant." A book blurb on the Waterstone's retail site reads "A novel that takes places forty-five years after the Oblivion Crisis, which is the story of The Elder Scrolls IV: Oblivion game and the expansion pack Shivering Isles. It partly bridges the gap for the next game, which is set 200 years after the Oblivion crisis." So, assuming "the next game" in Oblivion continuity isn't a ZeniMax Online massively multiplayer online game, this might be a hint at an Elder Scrolls V. Although, to hear Bethesda's Pete Hines tell it, that's the natural conclusion anybody could draw from how well The Elder Scrolls IV sold. P.S. Yes, I read The Age of Unreason series. When I was a kid. So Keyes' Star Wars work is how I think of him and I consider it a compliment.